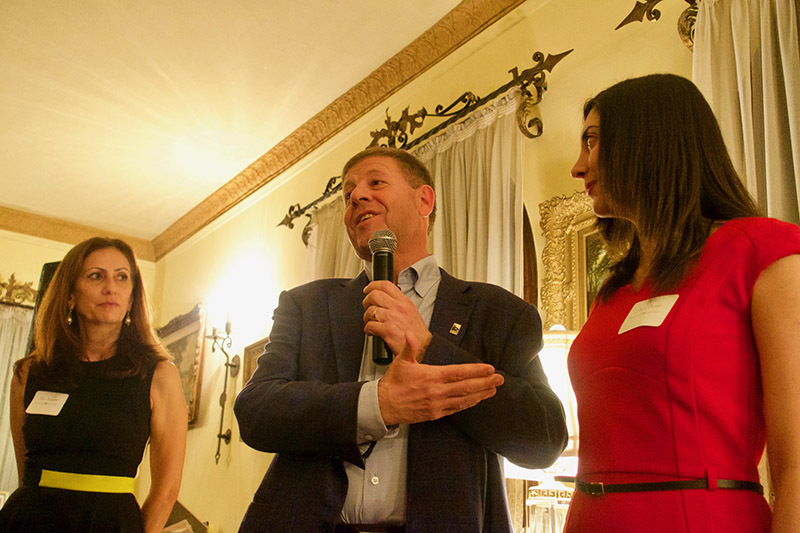 Events – Yes, Armenian Women Can! 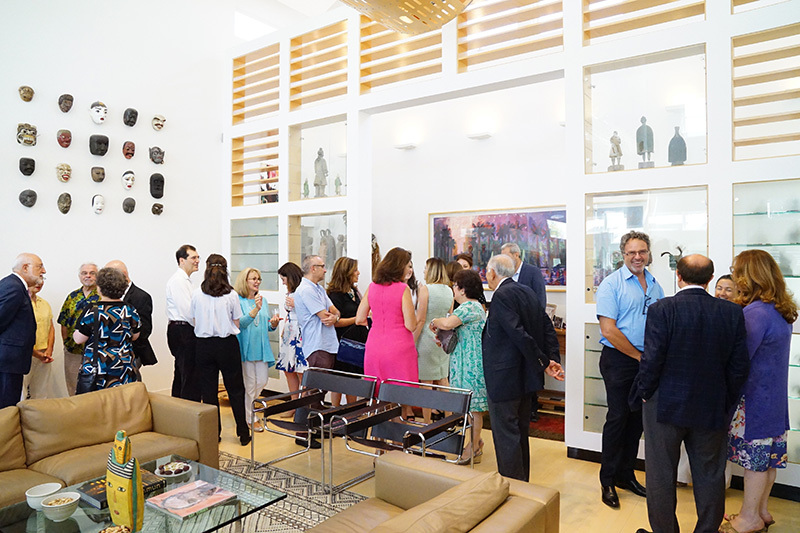 L. A., California ‒ Women’s empowerment took center stage at a benefit for the American University of Armenia (AUA)’s “Yes, Armenian Women Can!” campaign at the home of the Honorable Alice and Ronald Altoon on Sunday, August 12, 2018, in Encino, California. 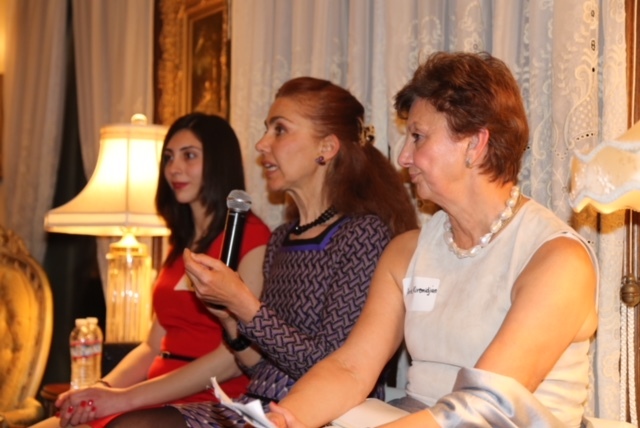 The integral role of women in society and the workplace was highlighted during the panel, consisting of academics Dr. Mary Papazian, Dr. Ann Karagozian, Dr. Shakeh Kaftarian and Lilia Mamikonyan (CS ’19). 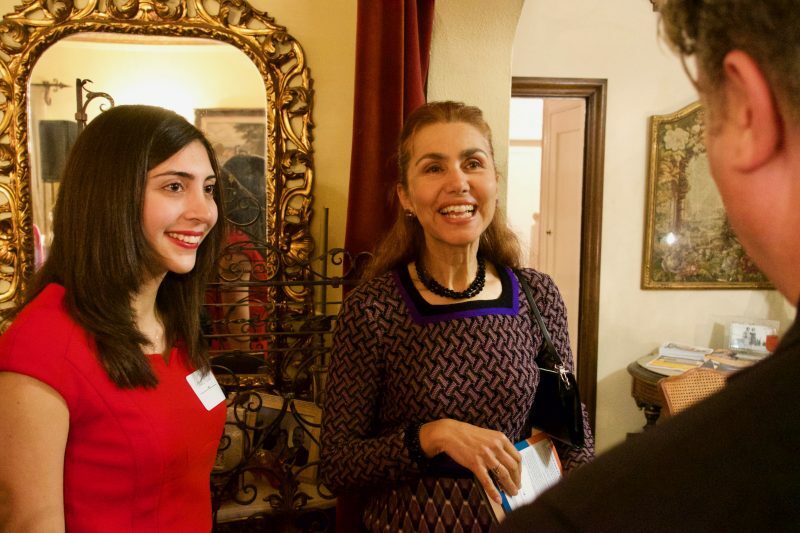 Throughout the afternoon, the importance of scholarships was underscored to facilitate the education of women in Armenia who have the brainpower and work ethic to contribute greatly to the country. 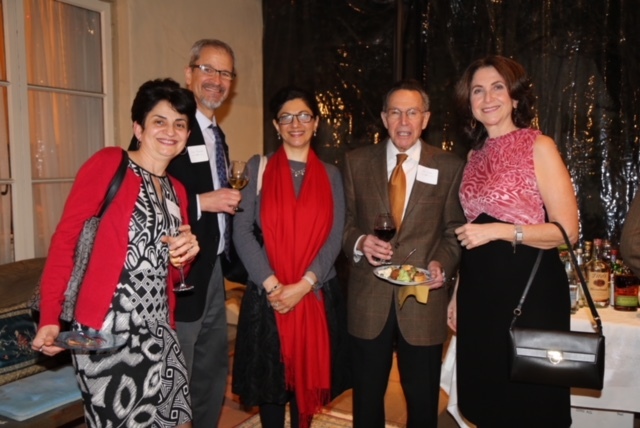 Emphasizing a significant turning point in Armenia’s history during the successful Velvet Revolution, Dr. Papazian, President of San Jose State University, said the time was ripe for women to take a more active role in the country. She highlighted the importance of building up women not only in the capital city, but throughout the rural regions of Armenia, citing the potential of economic growth in the provinces. 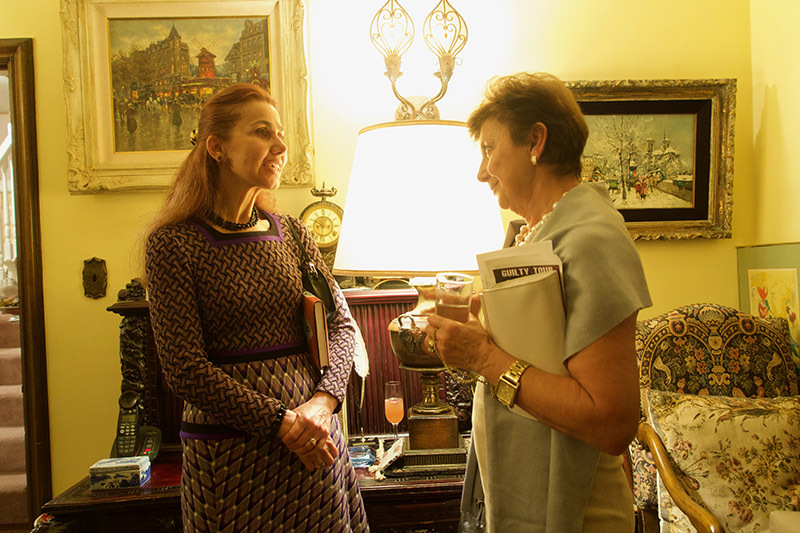 “It takes a whole population to succeed and we have the chance to create a partnership that enriches all of us,” she said. 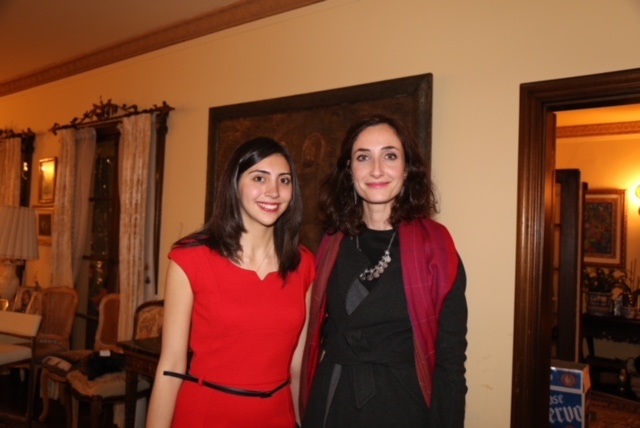 She expressed her positive impressions of the enthusiasm and intelligence of AUA students and stressed the value of educating women while sharing a personal story of her grandmother, who was denied schooling due to the oppressive rule of the Ottoman Empire. 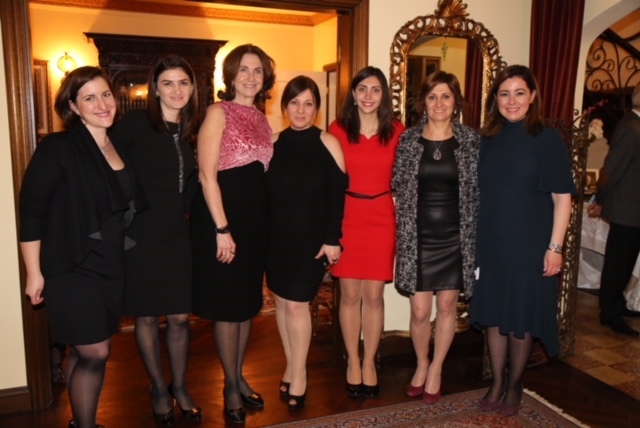 “AUA took the first step by initiating the “Yes, Armenian Women Can!” campaign that shines a light on empowering urban and rural women through education,” she said. Alluding to the World Bank’s recent statistics that show a 17% growth in IT around the globe, and a 20% increase in Armenia, she noted there is an abundant supply of jobs in the field that women can pursue, ultimately strengthening themselves and their lives. 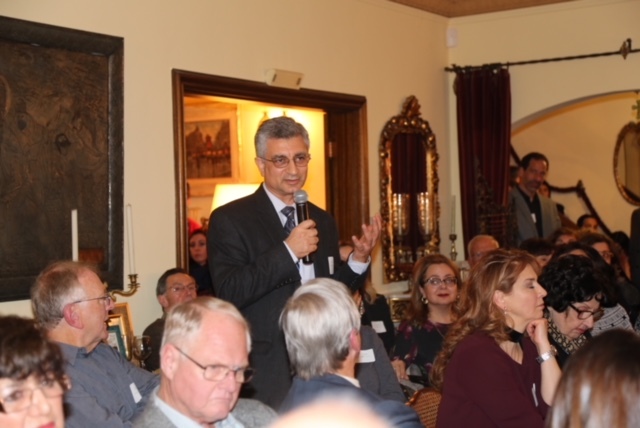 “Women should have the decision-making power of what happens to them and their children and to live a full life in order to rise to their full potential,” said Dr. Kaftarian. As Mamikonyan shared her journey to AUA from Sissian, a region in Southern Armenia, she served as a powerful reminder of the positive results that can occur when supporting the education of young women. A rising senior studying computer science, Mamikonyan, a scholarship recipient, has already secured a job offer upon graduation, but remembers the challenges she faced while applying to college. Living a few hours from the capital city, she had to travel to Yerevan from her hometown to study with tutors for the TOEFL and SAT exams, and also schedule to take the standardized tests in the capital city, as there were no other testing sites. She commented that scholarships benefited her and her husband’s lives when he received a full scholarship to the University of Pennsylvania to pursue his master’s degree in architecture. “It made a big difference in our lives and I know the AUA scholarships will make a big difference for these women at AUA,” she said. 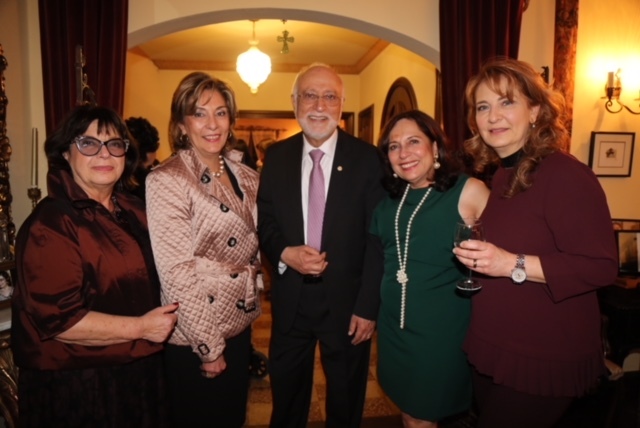 Dr. Armen Der Kiureghian, President of AUA, said women are an important force in Armenia and are more than half the student population at AUA, who are increasingly pursuing degrees in the tech fields. 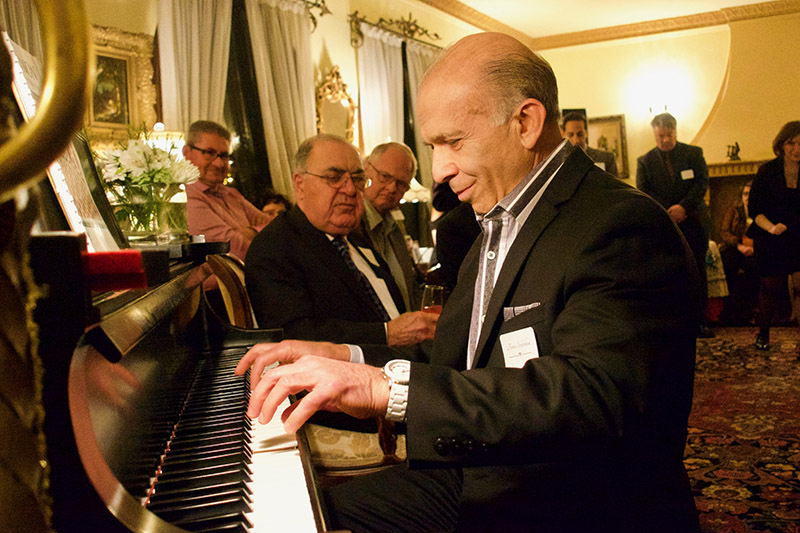 “Armenia’s future is bound to technology,” said Dr. Der Kiureghian. 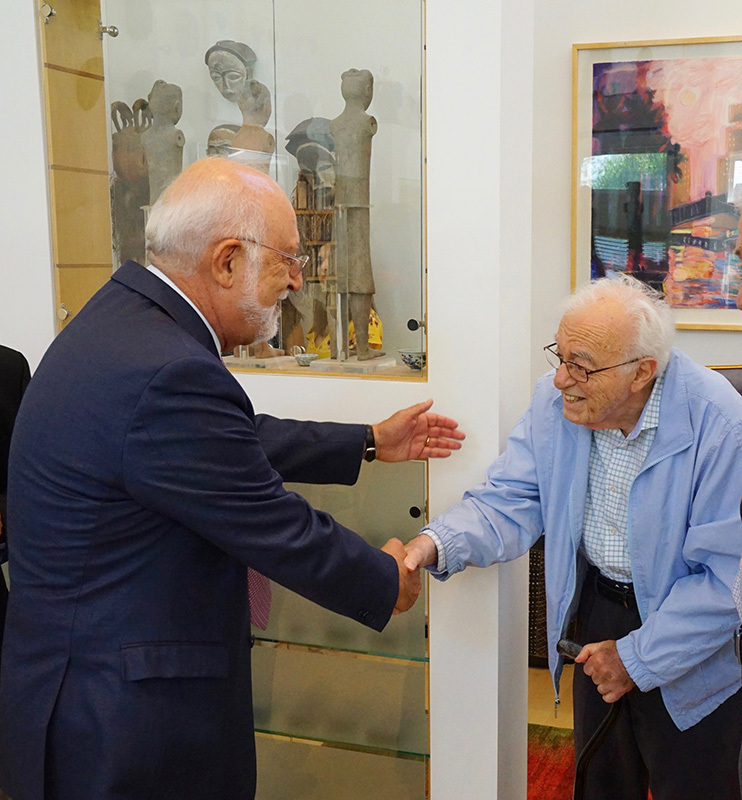 “Women in this field can play a significant role in the development of the country.” He noted that by establishing an endowment that aims to provide up to 100 scholarships, in perpetuity, for female AUA students studying science and engineering, the country will be on a stronger footing. 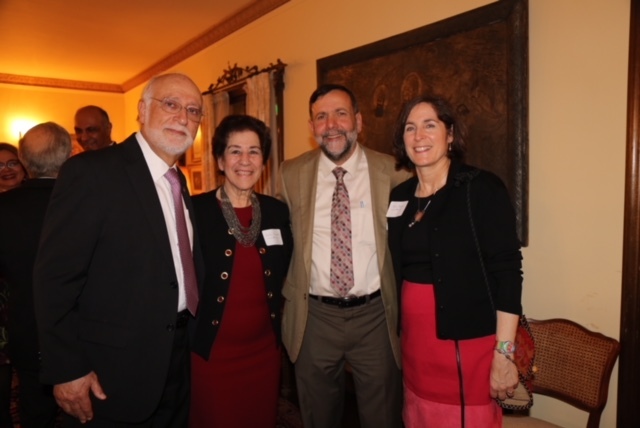 Amid the event’s inspirational tone, Elizabeth Agbabian, whose husband Dr. Mihran Agbabian helped found the university along with Dr. Der Kiureghian, Dr. Stephan Karamardian and Louise Simone, announced she would sponsor the education of two AUA students in her mother’s honor to benefit the “Yes, Armenian Women Can!” campaign. Concluding the afternoon, Ron Altoon said Armenia is at a crossroads and needs the assistance of the Diaspora and the homeland. 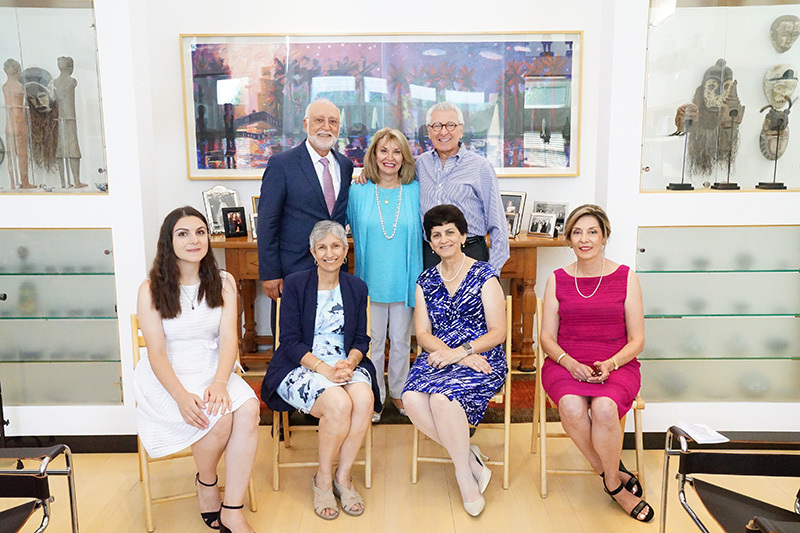 The goal of the visionary “Yes, Armenian Women Can!” campaign is to raise a $2.5 million endowment in order to support up to 100 female students at AUA each year, in perpetuity, who are studying science, engineering or technology. 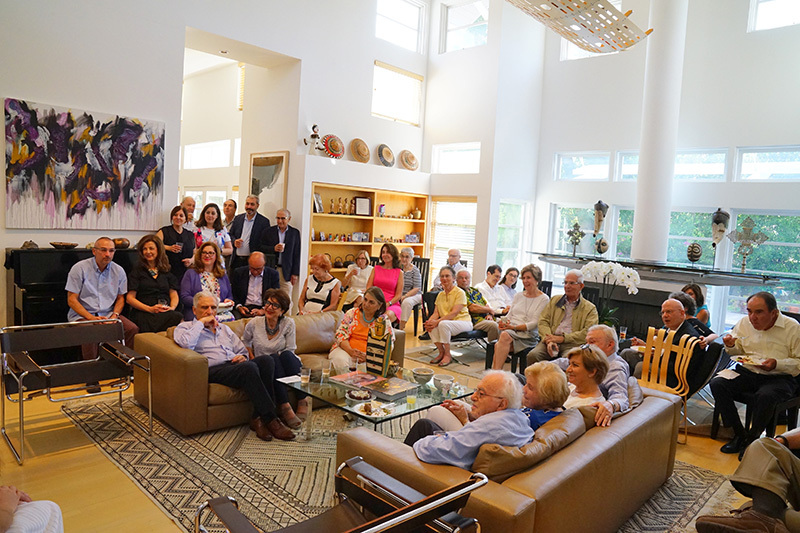 Numerous supporters have joined the campaign, in the Diaspora and in Armenia, including Yerevan-based artist Arev Petrosyan, who will donate proceeds of her sold paintings to the program. Additional paintings of hers are available here and in Los Angeles, where arrangements can be made for viewing and purchase. To learn more about the “Yes, Armenian Women Can!” campaign, please visit http://yawc.aua.am/ or contact the Development Office by emailing development@aua.am or calling (510) 925-4282. 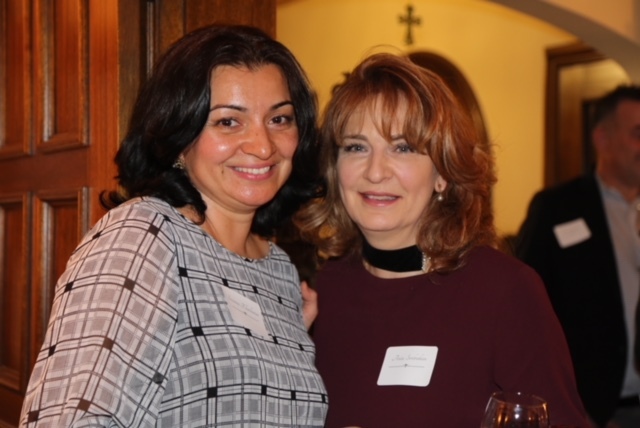 SAN FRANCISCO, CA – On January 13, more than 100 people attended the launch of the American University of Armenia’s (AUA) first phase of its Yes, Armenian Women Can! scholarship endowment campaign. 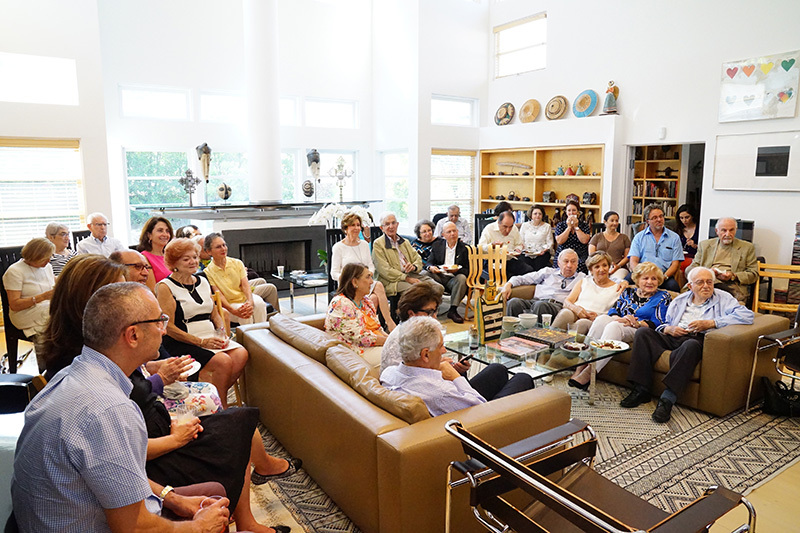 Hosted by a member of the 100 Pillars of AUA, Mrs. Eleonore Aslanian and family, the first phase of the campaign, entitled Women in Computer Science and Engineering, includes establishing a $2.5 million scholarship endowment, which will assist up to 100 women earning degrees and pursuing careers in computer science and engineering. “My mother taught all of her daughters and granddaughters to be strong women. 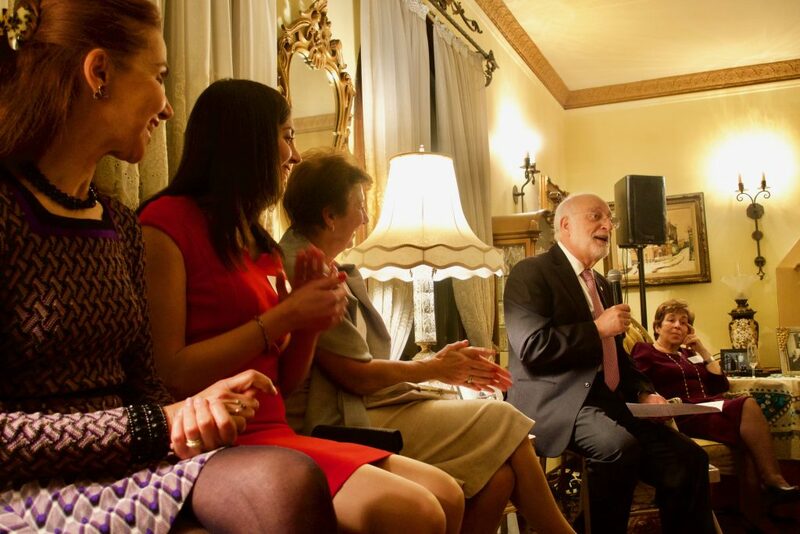 For us, hosting the launch of AUA’s Yes, Armenian Women Can! campaign is a natural fit. If Armenia is going to thrive, Armenian women need the education and the confidence to lead,” said Iren Aslanian Jenny, one of Mrs. Aslanian’s daughters and co-host. The highlight of the event was a 90-minute panel discussion moderated by Dr. Shakeh Kaftarian, who chaired the Empowerment of Girls and Women in Armenia conference at AUA in April 2017. Panelists included venture capitalist and author of Power Up: How Smart Women Win in the New Economy,Ms. 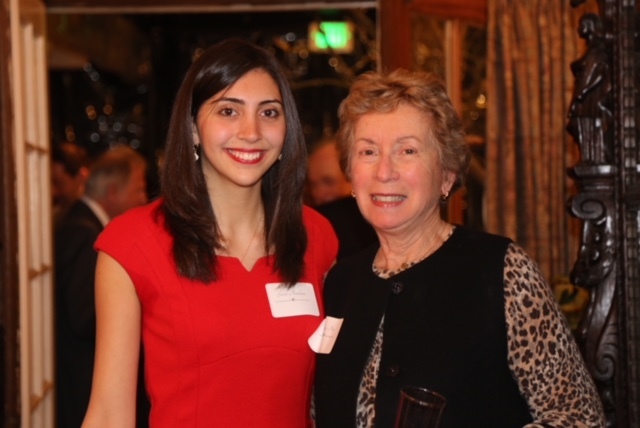 Magdalena Yesil, Stanford University Engineering Professor, Dr. Anne Kiremidjian, and Syrian-Armenian AUA student, Ms. Gasia Atashian. The panel explored the obstacles and opportunities facing women in computer science and engineering in Armenia and the United States. “My success at AUA is because of two things – I work extremely hard to achieve my academic goals and, like so many other AUA students, I have been blessed by support from scholarship donors. 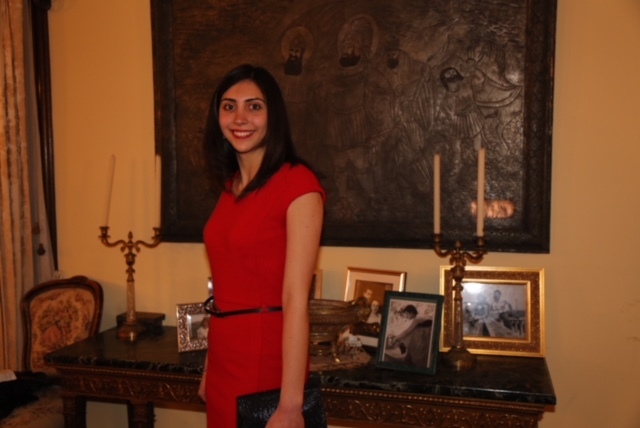 I want to excel and contribute to the betterment of Armenia and to one day support other scholarship recipients at AUA as an expression of my deep appreciation for the profound difference generosity has made in my life,” said Atashian. For more information on how to contribute to the success of Armenian women pursuing degrees and careers in computer science and engineering, please contact: development@aua.am.